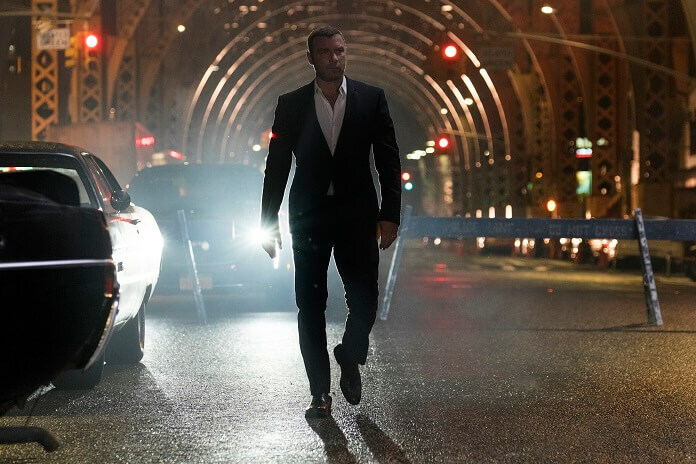 Showtime’s critically acclaimed drama Ray Donovan will be back for season seven. The network announced today that the Emmy Award-winning series has been renewed for a seventh season. Season six is currently airing on Sundays at 9pm ET/PT. The current season is set to wrap up on January 13, 2019. The cast is led by Liev Schreiber in the title role. Season six also features Domenick Lombardozzi, Eddie Marsan, Dash Mihok, Katherine Moennig, Pooch Hall, Kerris Dorsey, Devon Bagby, and Graham Rogers. Lola Glaudini and Susan Sarandon are also featured in the sixth season. The series was created by Ann Biderman and is executive produced by David Hollander, Mark Gordon, Bryan Zuriff and Lou Fusaro. Filming is expected to begin next spring on season seven. Ray Donovan‘s been nominated for seven Golden Globes over its six season, winning once. It’s earned nine Primetime Emmy Award nominations, with Hank Azaria winning in the Outstanding Guest Actor in a Drama Series category in 2016. The Broadcast Television Journalists Association has nominated the series for seven Critics’ Choice Awards, and in 2014 it received a Best New Series nomination from the Writers Guild of America. As season six progresses, Ray’s journey in New York has been fueled by his subconscious need for help. After his life was saved by a Staten Island cop named Mac (Domenick Lombardozzi), Ray must navigate the complicated debts and emotions that grew out of that relationship while also trying to save the mayoral campaign of Anita Novak (Lola Glaudini), the favored candidate of Sam Winslow (Susan Sarandon). On the family front, Mickey (Jon Voight) is on a mission to hunt down Ray to seek revenge and Ray struggles to cope after Bridget (Kerris Dorsey) tells him that she must break away from her father and the havoc his life has brought.